The page for Sizzler menu prices. Sizzler is an American casual dining restaurant chain known for their famous salad bar and steak dinners. They also serve American classic dishes such as ribs & chicken, burgers & sandwiches, seafood, and pasta. Sizzler offers specific menus for lunch, seniors, and kids. Most locations are open for lunch and dinner with some locations open for brunch. Below are the latest Sizzler’s menu prices. Daily 7AM - 11:30 AM, Beverage Not Included. Please, No Sharing. Choice of apples or french fries & dessert bar. Sometimes there are too many things to do on a day that you may not have time to sit down and eat at your favorite Sizzler location. To help, Sizzler’s now makes it easier to take your favorite Salad bar choices home. For Los Angeles area guests, head over to your local Sizzler location and try their Weigh To Go option. Pick up a special Weigh To Go container and fill it up with salad bar favorites. When done, weigh the container and pay. Great food on the go. Sizzler makes it easy to make informed decisions about food choices. Sizzler is committed to providing guests complete and accurate nutritional information about their menu options. You can view complete nutritional values for each Sizzler menu item on the official Sizzler website. Food allergies should not stop guests from enjoying a great meal. Sizzler cares about customer safety and that is why a complete allergen guide is provided online. Be sure to check out the guides before you head over to Sizzler. Add a little sizzle to someone’s special day by giving them a Sizzler gift card. Guests can order traditional gift cards online and have them delivered via postal service. Guests also have the option to purchase Sizzler e-gift cards. The e-gift card is delivered to the recipient’s email box instantly after purchase. What better way for guests to stay connected than through the Sizzler Real Deal Club. By signing up and providing an email address, guests will be the first to know about the latest news and events. Guests will also receive special meal offers plus a gift for signing up. Sizzler believes in helping and promoting charitable organizations. Sizzler works with the national organization ‘No Kid Hungry’ program to ensure all kids get a proper meal. Sizzler works with local organizations to raise funds for worthy causes. School kids can earn free meals through Student of the Month & Read to Achieve programs. Working at Sizzler is great for individuals that enjoy the hospitality industry and providing exceptional customer service. To view the latest openings or apply for a job, head over to the Career page on the Sizzler website. The first Sizzler Family Steak House restaurant was established in 1958 by Del & Helen Johnson, in Culver City, California. 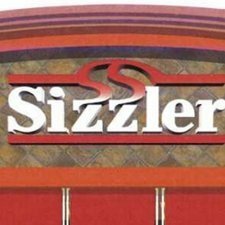 In 2011, the Sizzler chain was acquired by a group consisting of investors and management known as Sizzler USA. Today, the chain consists of 170 Sizzler locations in the U.S. & Puerto Rico. Sizzler USA is headquartered in Mission Viejo, California. For more information about Sizzler, visit their official website. This menu says it is updated as of January 2017 and the endless salad barf is listed at $9.99. However, when I took my father to the Roseville store for lunch, a SENIOR DISCOUNTED endless salad bar was $11.99. These prices are wrong. At the very bottom of this menu, I see that this page was last updated 12/25/2015. These are NOT the current prices in my area (Visalia, CA). Steaks and steak and lobster combos are about $2 more than what is listed here. Not truly “updated” in July, 2017. I had the same experience at the Sizzler in Femont, Had salad bar at noon and with senior discount came to $11.99 I look all over for dessert and there was none , only ice cream. SIZZLER IS ONE OF FAVORITE PLACECES TO EAT-BESIDE NORMS. MY 2 FAVORITES.